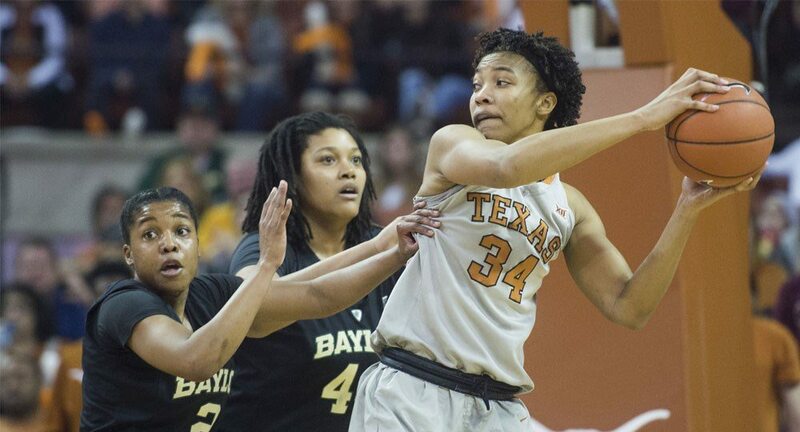 Center Imani Boyette had her ninth double-double of the year, with 15 points and 17 rebounds, but that was not enough as the Texas women's basketball team suffered its first loss of the year Sunday against Baylor (photo courtesy of texassports.com). AUSTIN, Texas — The No. 4 University of Texas women's basketball team suffered its first loss of the season Sunday, falling, 80-67, to Baylor before a crowd of 8,996 at the Frank Erwin Center.